California Consulting CEO Steve Samuelian was happy to attend the Los Angeles Swearing-in ceremony for our new California State Treasurer Fiona Ma. Congratulations Fiona! 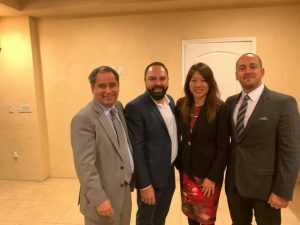 Steve is pictured with Araz Parseghian, California State Treasurer Fiona Ma, and Gor Adamyan. - California Consulting, INC.
Araz Parseghian, California State Treasurer Fiona Ma, and Gor Adamyan.